You might not remember your high school quarterback’s name, but I’ll bet that you’d recognize the team mascot anywhere. Memorable, symbolic, and exaggerated in fun, mascots represent the team as a whole, giving audiences a focal point throughout every game. Mascots do the same thing for businesses online. They represent the company or brand with positive, informal personification of established values or philosophies. And now, more businesses are using mascots as integrative key players in social media campaigns. As Advertising Age contributor E.J. Schultz notes, brands are creating characters that live almost entirely online. But before we discuss social media tactics for your brand mascot, let’s consider the basics of an effective character, and the benefits of adding a mascot to your online marketing strategy. Smashing Magazine contributor Sven Lennartz says, “the more emotional a site design is, the more likely it is to evoke positive feelings within its visitors.” Mascots create a friendly, identifiable introduction for your users, and when memorable, can help users recall good feelings associated with your brand. Mascots are cuddly, cartoony creatures that alleviate crusty corporate tension that might stifle a company website. Adding a mascot relaxes the atmosphere, and encourages users to feel welcomed to ask questions and explore the site. With an unwavering mascot to grace every page, email, packaged product, and letter, you are assured that your business is competing in the Google PageRank as a consistent source. It’s a great addition to an SEO plan for brand authority. Animal or human-like characteristics will make your mascot more relatable to users. “Abstract creatures need to be studied and understood first,” says Lennartz,”[and] most users don’t have the time and patience to do that.” In most cases, a recognizable entity is best. Adaptability to a variety of formats (email signatures, response forms, social media platforms), requires that your mascot is classic and flexible. It should be able to represent your company for the long-term. Avoid hyper-trendy graphics. Fitting of your company values and personality. Don’t let the stereotypical image of your industry deter you from developing something fun. You know what kinds of exciting, hilarious, and goal-oriented conversations fuel your business. Make those come alive in your mascot, but don’t fake it. Your mascot should correlate with your company in every aspect, from culture to customer service. 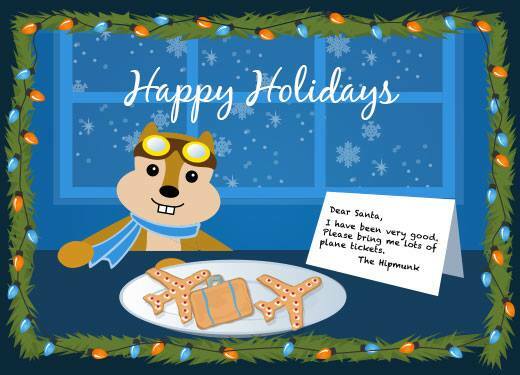 Hipmunk’s Chipmunk makes travel booking feel playful instead of stressful. With the basics covered, we can explore the expanding potential of mascot marketing online. The honeymoon period isn’t over yet, so let’s develop something fun!